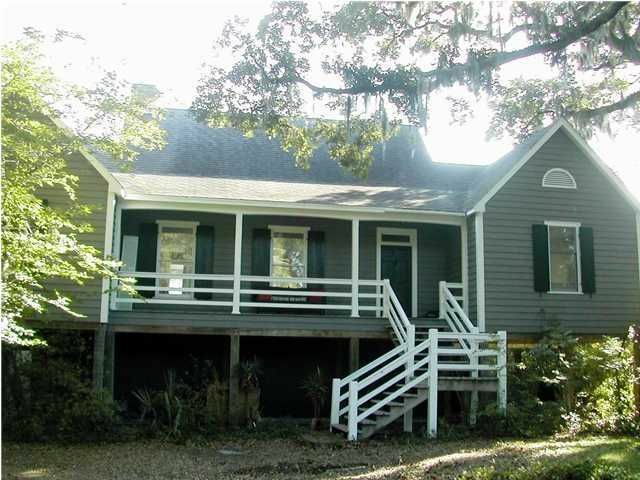 LOWEST PRICED HOME ON DEEP-WATER IN MCCLELLANVILLE, FURNISHINGS NEGOTIABLE - Standing on the spot where the former Palmer Plantation home was original located in the mid 1800's, "Palmer's Point" as it has come to be known is the quintessential McClellanville home. 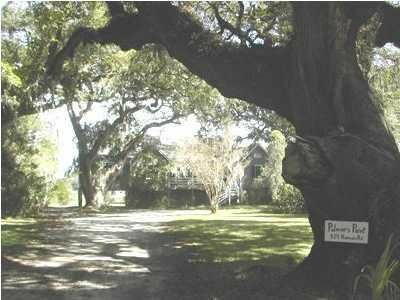 This large waterfront lot covered in ancient live oak trees is, hands down, the prettiest lot in McClellanville. 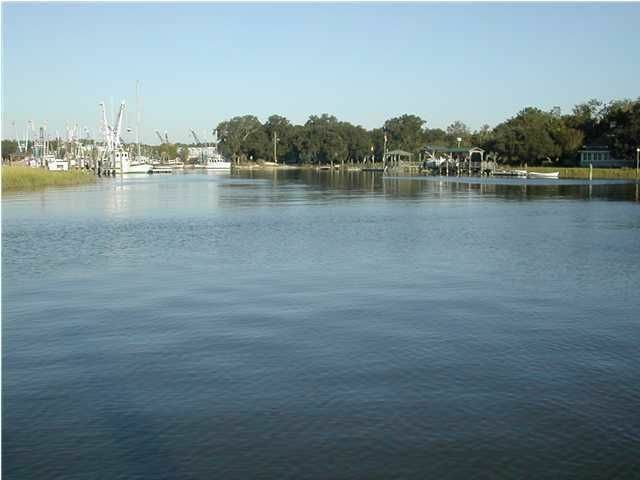 It is located in the quiet Skipper's Point community just minutes from the downtown restaurants and boat landing. There is a large deep-water dock with plenty of room to tie up several boats and is just a few hundred yards from the Intracoastal Waterway and Cape Romain Wildlife Refuge making it a perfect fishing retreat. The front yard is shaded by a canopy of ancient live oaks, while the water side has over 150 fe et of waterfront and a lawn that has hosted numerous wedding parties and events. Built in 1987, the 4 bedroom, 4 bath home features large rooms throughout all with beautifully aged heart pine flooring and tall ceilings. The layout of the house is very modern and flexible, allowing for any number of uses with a large upstairs bedroom and two downstairs bedrooms on one side of the house. The largest bedroom is off the kitchen and dining room and could be used as an office, den, master, children's room, or mother-in-law suite as it has it's own entrance to the home through the laundry room. There is a side entrance to a laundry room that is just off of the kitchen and features a walk-in pantry. The kitchen opens into the dining room which has a great view of Jeremy Creek and the passing Shrimp boats. 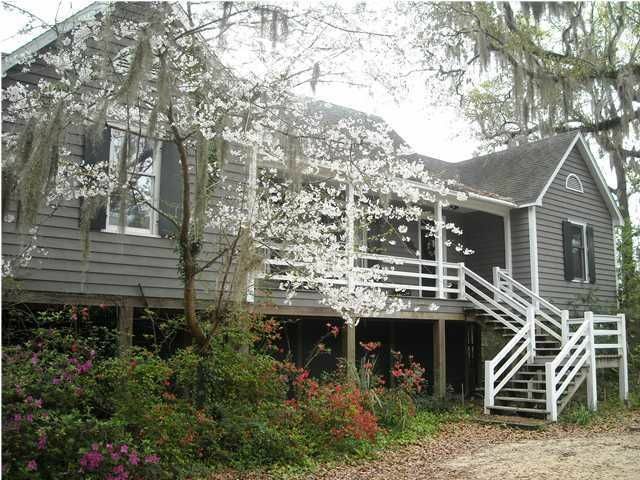 The spacious living room is at the center of the home and features a wood-burning fireplace and opens up onto a screen porch that overlooks scenic Jeremy Creek and the heart of McClellanville. Downstairs is an unfinished storage that could be used as a workshop or game room. They really just don't build homes like this anymore. The nearly 2800 square feet feels much larger when you walk through it. The home has been successfully rented as a vacation home the last 3 years and has been admired by all who have come to call it their home for weekend getaways, family vacations, kayaking and fishing trips, and special events. The last full year that the home was rented made over $28,000 in rental income and could easily continue to be rented if the new owners wished.